FREE 1-Week Supply Of Lancome Day Cream Sample! You are here: Home / FREEbies / FREE 1-Week Supply Of Lancome Day Cream Sample! For a limited time only! 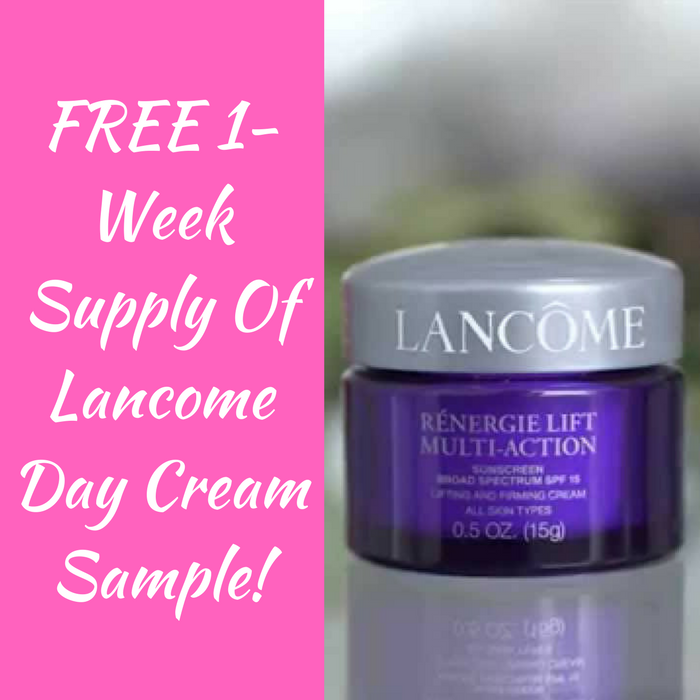 Hurry over here to score a FREE 1-Week Supply Of Lancome Renergie Lift Multi Action Day Cream Sample! All you need to do is fill out the form here. Don’t miss this awesome FREEbie!